Prince had a love-hate relationship with the internet. This led, in 2015, to him pulling his back catalog of music off streaming services such as Spotify and Apple Music. However, Prince tragically passed away last year, and his back catalog is now available to stream once again. In April 2016, the American singer-songwriter who was once known as “the artist formerly known as Prince” passed away. His death was unexpected, and he died tragically young at just 57. Unfortunately for his fans, anyone trying to stream his music as a tribute was out of luck. It’s fair to say Prince wasn’t a fan of streaming services in general. In 2015, he pulled all of his back catalog from Spotify, Apple Music, and more in a row over royalties. This meant that most of the Purple One’s music (all of the good stuff) was only available on Tidal Is Jay Z's Tidal Music Worth a Second Listen? Is Jay Z's Tidal Music Worth a Second Listen? We weren't impressed by Jay Z's TIDAL at launch. Now, one year on, we thought we’d check in to see if TIDAL is worth using... Read More . 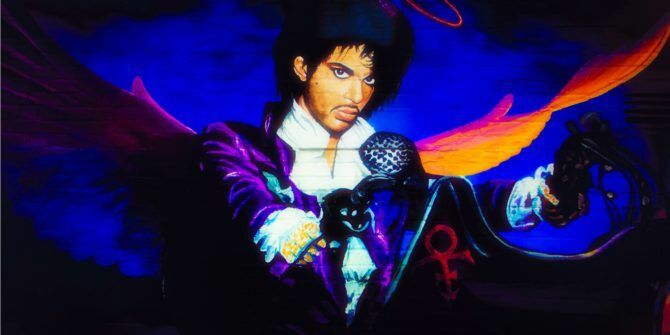 However, with Prince having passed, his estate has deemed streaming services worthy of Prince’s music once again. Which means you can now stop buying his CDs/scouring through your library of MP3s/sourcing his back catalog from less reputable websites. Prince’s back catalog of music should now be available on Spotify, Napster, Apple Music, and Amazon Music at the very least. This will be everything Prince recorded for Warner Bros. Records between 1978 and 1996. This includes 18 studio albums and six compilation albums. The decision to essentially go against Prince’s wishes has probably been dictated by the huge tax bill now due on Prince’s estate. His assets are estimated to be worth around $200 million, which means $100 million will be lost through federal and state taxes How to Stay Safe from Tax Fraud This Tax Season How to Stay Safe from Tax Fraud This Tax Season Tax fraud is on the rise, and filing your taxes online makes you a target. What can you do to make sure that you aren't the victim of tax fraud this year? Read More . Are you a fan of Prince? Were you disappointed when his back catalog disappeared from streaming services? Are you pleased to see it return to Spotify, Apple Music, and others? What song will you be streaming as a tribute? Please let us know in the comments below! Explore more about: Amazon, Apple Music, Spotify, Streaming Music. Thank you! Streaming When Doves cry right now on Google play.